Black Beauty and Brains…a perfect Kenyan combo! With the rise to fame of beauty queen/Actress Lupita Nyong’o came a new definition of the words ‘Black Beauty’. For many years the international gate keepers of the fashion and beauty world had found this title to be some sort of oxymoron. In other words, they interpreted this simple phrase in their own complex manner to mean that the two words could never complement each other in the same sentence. A new page has been turned not only when it comes to beauty and the black skin tone but also for this other fact: Lupita Nyong’o also has the high intelligence quotient to back-up her dark beautiful complexion.It took a Kenyan to migrate to a far foreign territory and prove to the entire world that a ‘black beauty’ could make the cover of major internationally renowned magazines such as Vogue, Elle, Marie Claire, InStyle, Destiny and many more not because she had the perfectly light skin tone, but because on the contrary she had the perfectly rich, dark,coffee-tanned skin color and the brains to match. For the world of fashion, this new found much needed definition of beauty would add to their portfolio of what it meant to be a beauty sensation. It just means that from today henceforth, all young Kenyan and African women who were aspiring to have a piece of the beauty/fashion pie, can now have a slice and bring in their A-game too because Lupita Nyong’o has not only set new standards in the international scene that we can all emulate, but in addition, she has also opened the door for companies such as Lintons Beauty World who are Kenyan retailers in high end beauty products such as Lancome which has Lupita Nyong’o as one of the ambassadors, to attract Kenyan women who would also like to upgrade their cosmetics swagger by upgrading their beauty regimen. 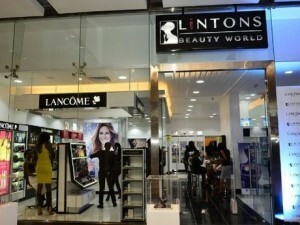 By stocking an array of skin care and cosmetic products that enhance black skin and optimize feminine beauty, Lintons Beauty world, and Lupita Nyong’o of course, are key in ensuring locally and internationally that the term ‘Black Beauty’ will definitely live on for many years to come. on Sunny yellow…for the Kenyan Weddo!! on Chinese themed weddings in Kenya…the new hype! !